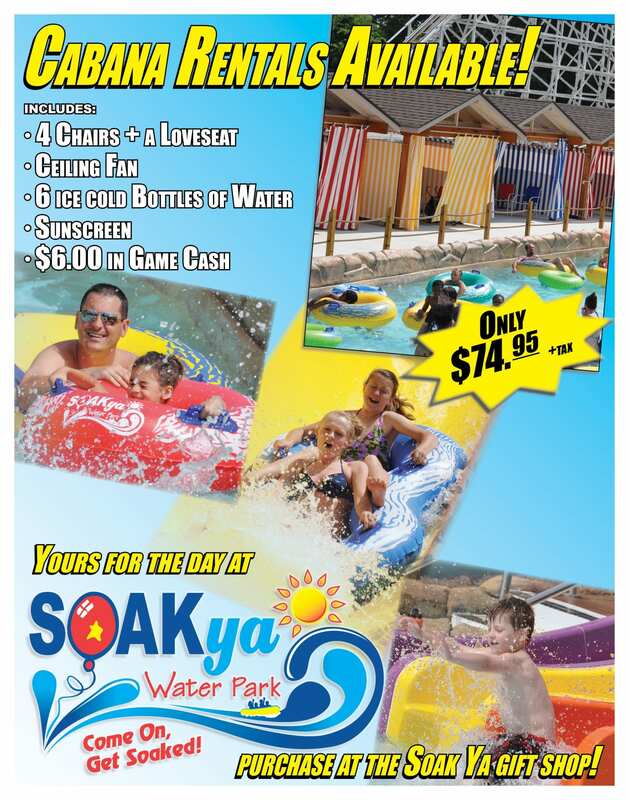 Opening in 2013, SOAKya Water Park was the largest expansion in Lake Winnepesaukah’s history. 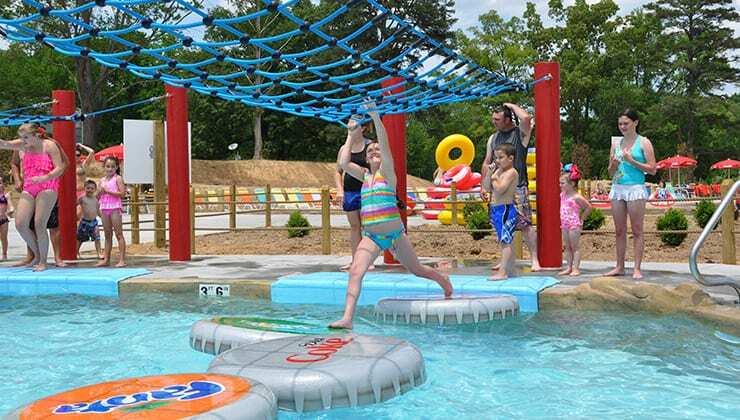 This five-acre water park features a Crazy River, 2 Body Slides, 2 Tube Slides, an 800 ft. Mat Racer, and interactive kids area just for the little ones! We have specials for every day of the week. Tackle this challenging course of floating bottle caps. Can you make it from one side to the other without holding on? Appropriate swim wear is required. No thongs, g-strings, denim shorts or hard materials (belt buckles, metal rivets, etc. This is an intense ride and is not suitable for young riders or those with health conditions. This ride is not recommended for riders with heart problems. This ride is not recommended for riders with back problems. This ride is not recommended for riders with neck problems. 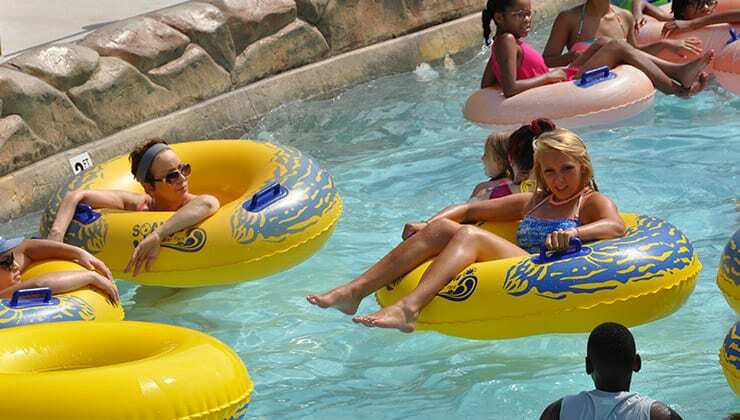 You will encounter waves of fun in our Crazy River! Cruise along in one of the provided rafts or swim on your own. The Crazy River features rolling waves, geysers of water and other wet surprises along your journey. Appropriate swim wear is required. No thongs, g-strings, denim shorts or hard materials (belt buckles, metal rivets, etc. This is an intense ride and is not suitable for young riders or those with health conditions. This is our children’s play area featuring 4 water slides, a zero-depth entry activity pool and many elements featuring spraying water. Appropriate swim wear is required. No thongs, g-strings, denim shorts or hard materials (belt buckles, metal rivets, etc. This is a gentle ride suitable for all riders. Riders under 48 inches tall may not ride this attraction. These body slides will have you coming back for more! 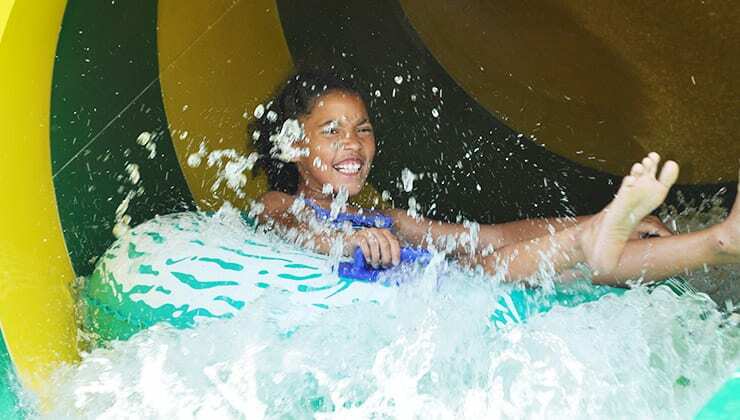 From the dark enclosed tube of Splish to the wide open half-pipe of Splash you are bound to get soaked and have a great time! Appropriate swim wear is required. No thongs, g-strings, denim shorts or hard materials (belt buckles, metal rivets, etc. Red & Yellow Tube is for double riders with a combined weight limit of 350 lbs. Orange & Green Tube is for single riders with a weight limit of 250 lbs. This is an intense ride and is not suitable for young riders or those with health conditions. Riders under 42 inches tall may not ride this attraction. This ride is not recommended for riders with heart problems. This ride is not recommended for riders with back problems. This ride is not recommended for riders with neck problems. 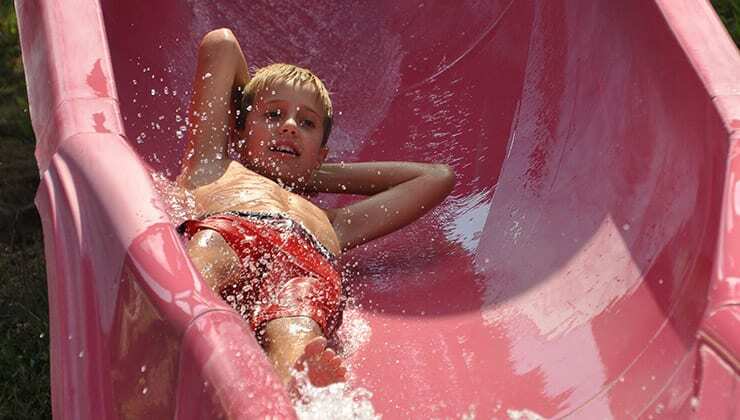 Ride alone or with a friend on our pair of exhilarating tube slides. Twist spins you round and round through several giant helices while Shout sends you barreling through the drops and turns in complete darkness! 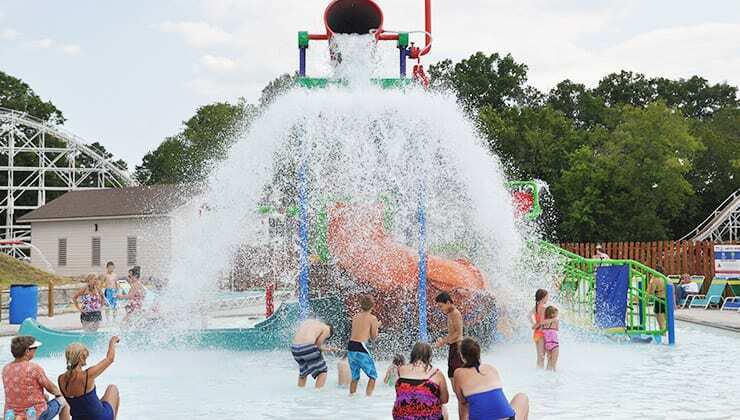 Water Works stands over 20 feet tall and is loaded with surprises, fountains, and even fun new water slides. The centerpiece of the new play area is a giant bucket that will spill out over guests every few minutes! Appropriate swim wear is required. No thongs, g-strings, denim shorts or hard materials (belt buckles, metal rivets, etc. Red & Yellow Tube is for double riders with a combined weight limit of 350 lbs. Orange & Green Tube is for single riders with a weight limit of 250 lbs. This is a gentle ride suitable for all riders. 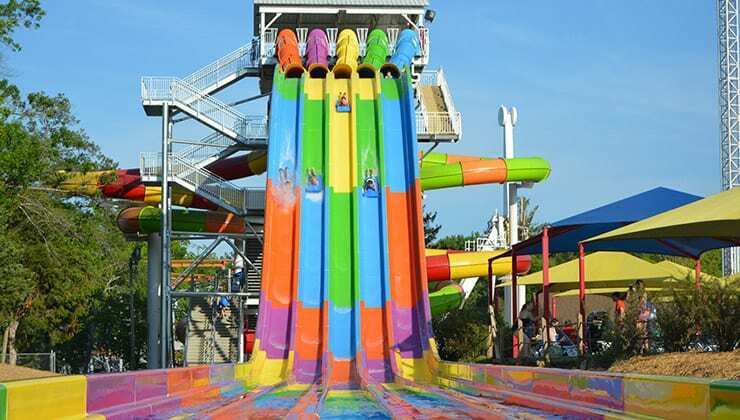 The Winnie 500 racing slides have guests sliding nearly 300 feet head first into summer! Guests can race family & friends from fifty feet in the air, to a triumphant splash for the checkered flag. Appropriate swim wear is required. No thongs, g-strings, denim shorts or hard materials (belt buckles, metal rivets, etc. Red & Yellow Tube is for double riders with a combined weight limit of 350 lbs. Orange & Green Tube is for single riders with a weight limit of 250 lbs. 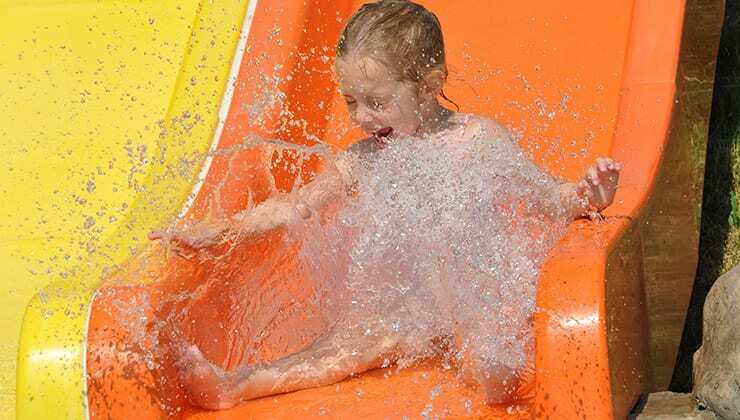 This attraction features sharp turns, high speed, drops and surging water in darkness. If you have any condition which would be adversely affected do not ride this attraction. Riders under 42 inches tall may not ride this attraction. This ride is not recommended for riders with heart problems. This ride is not recommended for riders with back problems. This ride is not recommended for riders with neck problems. This ride is not recommended for riders who are or may be pregnant. 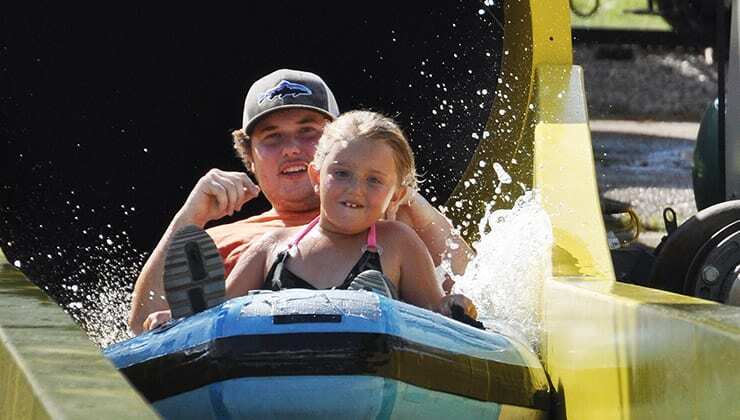 There’s no better way to cool off from a hot summer day than to go for a wet & wild plunge down the Zoom Flume! Guests board a raft and are soon filled with laughter as they twist and splash every second of their ride.